Abundance is not only physical. Everything in creation first appears at the highest planes of existence (the highest densities of matter), and then trickles down the planes, until it reaches the mental, astral (emotional), etheric, and physical realms. It is a natural, granted expression of Source. All forms of lack are anomalies, artificially created, and unnecessary to our evolution and experience. Lack is actually synonymous to pain and suffering. It is important to understand that you do not need to do anything to deserve all the goodness you aspire to. You do not need to buy it with good deeds. Source doesn't need your karma money. Karma is a lie created by the dark forces to justify their insanity and enslave people more easily. There is unlimited re-Source in all aspects of life. You can relax and know you are meant to receive all the positivity you aspire to, it is your divine right. Most humans on this planet actually carry so much lack and pain that they do not consciously notice most of it anymore. They get accustomed to not being immersed in the Abundance of physical beauties of creation reaching into all their senses, to not being immersed in positive emotions and Love generated by the complementarity with their soul family, and to not understanding the mysteries of the world and universe they are a part of. This is not meant to be and it should not exist anymore. The Goddess is present deep in all of creation and it wants us truly fulfilled again. How much are you evolving and exploring life while struggling with physical abundance ? If today you had everything you need physically, what would you do ? Would you go explore this planet, galaxy and universe, and all the richness of creation ? How much are you evolving and exploring life while struggling with emotional abundance ? If today you were free of dark technologies disrupting your emotions, fully deprogrammed, and connected with your twin soul, soul mates and soul family, what would you do ? Would you explore the vast possibilities of loving exchanges ? How much are you evolving and exploring while struggling with mental abundance ? If today you were free of dark technologies disrupting your thinking process, fully deprogrammed, and had full access to understanding the mysteries of this universe and full access to the whole creative flow of ideas coming from spirit, would you explore it ? Can you feel glimpses of how life is meant to be ? If somebody is not yet ready to handle vast amounts of wealth, whether it is physical or emotional or mental or other, it's simply because they are programmed, and what will happen first is the universe will grant everything needed for the deprogramming in order to be able to access Abundance. The universe will always grant what is needed unconditionally. Any mistake made can be healed without delay or conditions, other than simply allowing the healing. Abundance applies to everything, including forgiveness. The prison system on this planet can hindur the Abundant flow from the universe, but we can reduce that hindurance in our lives to a good degree by deprogramming ourselves. The worldwide financial system and liquid currencies are infused with black magic with the intention that money is prevented from being used for positive things, and keeps flowing towards negative projects. Let's not give in to that. We can use the symbols on the notes and coins and whole financial system for the Light, and transmute the energy of money to use it for positive projects to help liberate this planet. 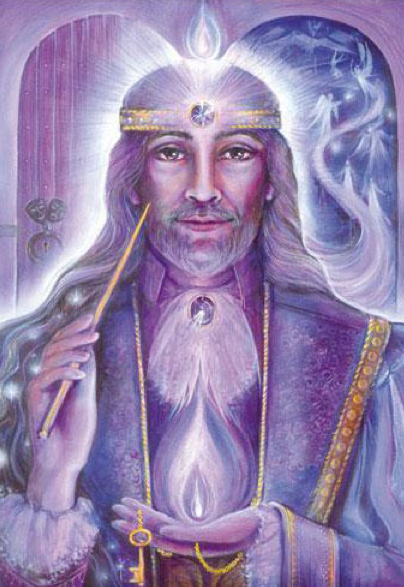 Whenever you get new money, simply invoke the violet flame and presence of Saint Germain to purify and infuse the coins, notes, and virtual money. Get at least one silver or copper or gold coin, do this exercise on it, and keep it with you as an anchor for a positive flow of Abundance. Precious metals are similar to crystals in the sense that they can carry consciousness in a powerful way. These precious metal coins can also be an investment for the first few days after the Event, when all banks will be closed and credit cards won't work, shops may not accept fake money but may accept precious metal. Here is another tip I recommend. Do not focus too much on the money itself, and focus more on what you want to do with it. Focus on the aim, and the means will flow more easily. Find your purpose, ask yourself every day what is the most beneficial way to use your energy, then make a strong decision for it. Working for a beneficial project increases the flow of Light which will help Abundance flow. 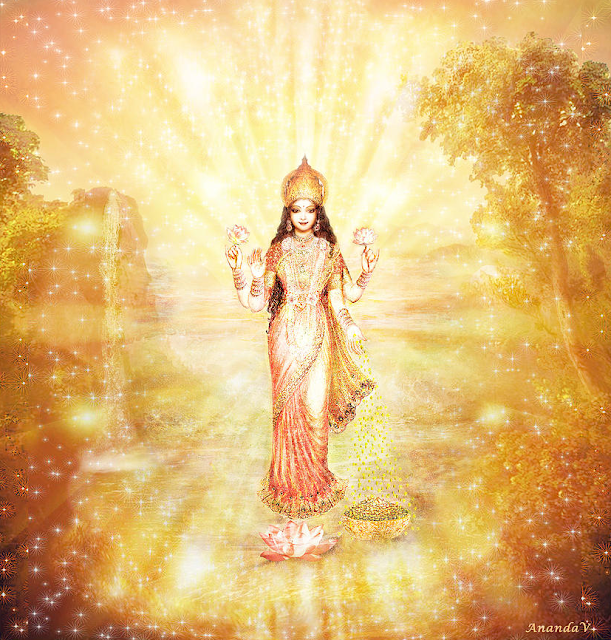 Vedic teachings explain that Lakshmi's twin soul is Vishnu, who is the God archetype of Divine Will. This is very important wisdom : Divine Will is nothing without Abundance, and Abundance is nothing without Divine Will. We can all be an instrument for both. It is also important to come from a positive place of faith in possibilities, and it is also very powerful to connect directly with the energies of Saint Germain and Lakshmi. I very much appreciate your work, Untwine. You always say the right thing in the right way and at the perfect time. Thank you so much! 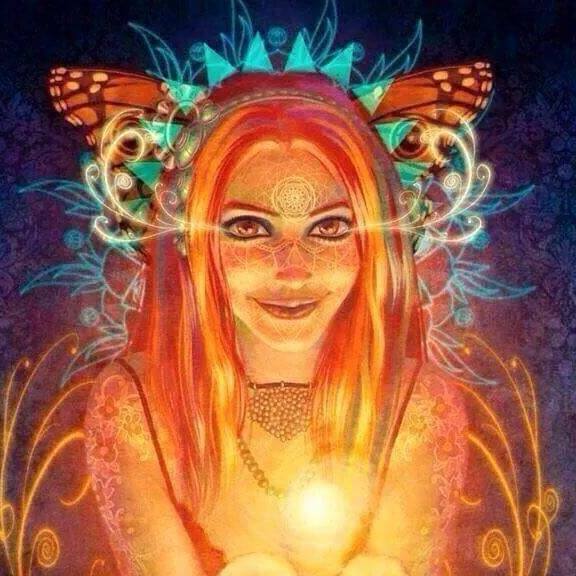 Divine Order & Divine Essence.. Infinite Love, Gratitude, Serenity, Compassion, Faith, Joy, Abundance, Bliss and Victory to The Light of Oneness; and our Mission towards Serving the Light, w/ALL of our Many Many Divine & Spiritual Gifts! Yes, very timely and wonderful. Thank you! Beautiful. Thank you. Victory of the light! Love the tools, love empowerment! Thanks bunches! When you say new money do literally mean newly printed money or just money you just received from your source of income? So beautiful, profound thanks,...Life is all one big YES! Thankyou from the bottom of my heart. i feel encouraged and uplifted by your messages. THANKYOU THANKYOU THANKYOU PLEASE GIVE US MORE. A Vitória da Luz!!! Gratidão!!! Can anybody please explain what is meant by infusing money? English is not my native tongue, definitions didn't help.